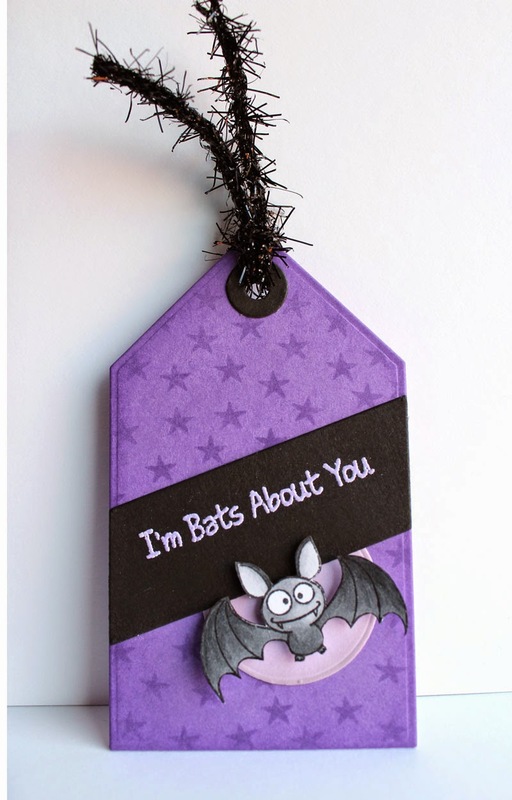 I paired a couple of my favourite Halloween sets with the Tag Builder Blueprints 1 Die-namics to create these fun treat tags. 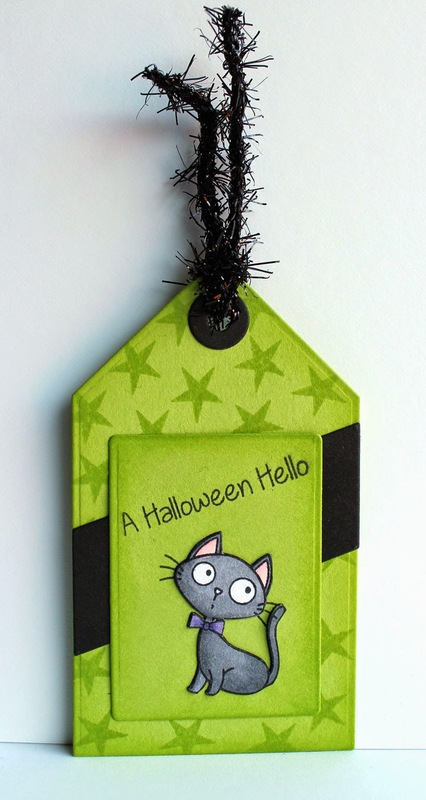 I'll be clipping these cute tags to a few treat bags for some special trick or treaters. 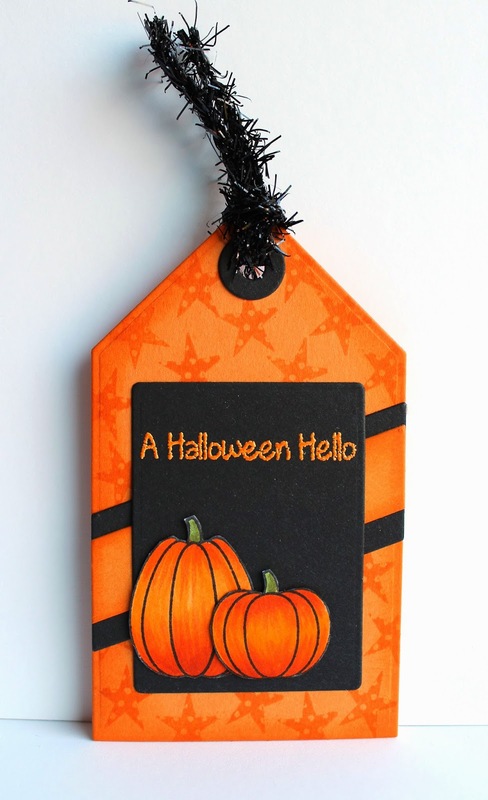 I stamped the background with a few stars from the Primitive Pumpkins stamp set. The little stars in this set are fabulous! The sweet images are all from the new Witch Way Is the Candy? stamp set. I stamped each image on a piece of X-Press It card stock and I coloured them with Copics. Even though these images have a coordinating die, I decided to fussy cut them out as I didn't want the white border around the image. Thanks so much for joining me today, I'll be back on Wednesday with a new Wednesday Stamp Club card.